Room 7 have been busy working in the construction site. They have been role-playing architects, foremen, construction workers and safety officers, learning to draw up plans and convert these into real buildings! They have been using lots of language associated with the construction site like bricks, hammer, hard hat, digger, cement mixer, dump-truck etc. They have also been learning about the story of the Three Little Pigs. 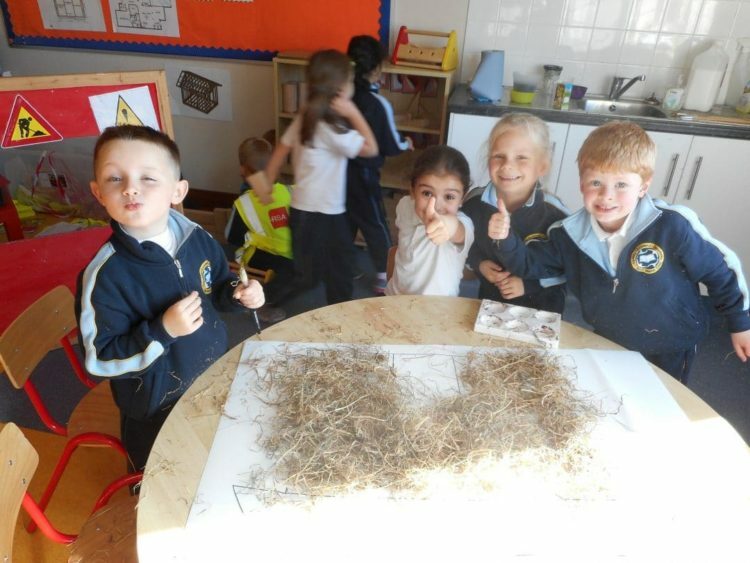 In science we built houses made of bricks, straw and sticks to investigate which ones the Big Bad Wolf could not blow down! Have a look at our pictures to see us working in the construction site and making houses for the three little pigs!